Paid online surveys really took off after the global economic meltdown of 2008. The deleveraging that took place at the time devalued many of the world’s leading currencies and money supply became tight. Consumers had less money to spend and cash-strapped companies needed to know that every dime they spent on marketing brought in a good return. Data that had mined from earlier surveys became irrelevant in the new economy and fresh up-to-date data was required. 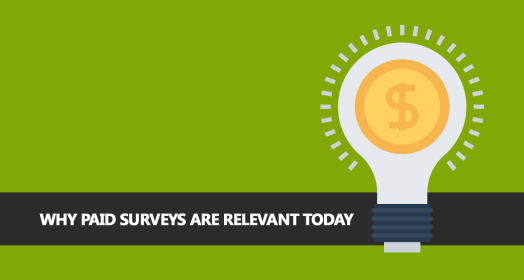 Online survey companies thrived from 2008-2010. Meanwhile, millions of people that had been rendered jobless started taking paid surveys and consequently drove prices down. Paid online surveys nowadays do not pay as much as earlier surveys. Back in the days, it was possible to make a respectable sum of money by concentrating on online surveys. However, they remain important in the business world. As businesses continue to slowly recover, there will be more collateral activity in the form of consumer research. You can therefore expect paid online surveys to continue being available. Which Companies Offer Paid Online Surveys? Most companies willing to pay consumers to take online surveys represent businesses that are developing new consumer products and services. These can be manufacturers, service providers, or retailers. Indeed, just about any consumer-facing business can pay an online survey company to conduct market research on their behalf. Web-based surveys are used to predict customer buying patterns. These surveys share one thing in common: they mostly involve lots of self-reporting. A consumer might be asked to provide a log of their spending habits for products such as toothpaste, cigarettes, certain brands of soaps or detergent, details of what they spend they money on and so on. Businesses then collate this data and use it to design their products before finally rolling them out. The Council of American Survey Research Organizations (CASRO). This organization was founded in 1975 and is based in the U.S.
You can visit the websites of these organizations and if you want to know more about names of specific companies that are involved in market research. CASRO for instance has specific guidelines of how companies should treat their survey subjects. The types of paid surveys available cut across many industries. You are more apt to enjoy the survey if it focuses on your interests or a field where you are directly involved. After all, it’s not everyday that somebody appreciates your insights and pays for your opinion.